Neill Blomkamp’s Chappie has been characterized as a return to the District 9 director’s indie roots in the wake of Elysium, what with it once again starring Sharlto Copley in the lead, drawing inspiration from an old short he made (Tetra Vaal), and not having expensive movie stars. Or, at least, not a surfeit of expensive movie stars, now that it’s been confirmed that Hugh Jackman is also on board. Deadline reports that Jackman has joined the cast of Chappie—which features Copley as a funny robot cop patrolling the South African slums where a non-millionaire Dev Patel lives, just trying to get through the day without being hassled by funny robot cops. Jackman will play a “rival” to Patel’s character, somehow factoring into the plot when Copley’s robot-cop is kidnapped by gangsters, played by Die Antwoord’s Ninja and Yolandi Visser. 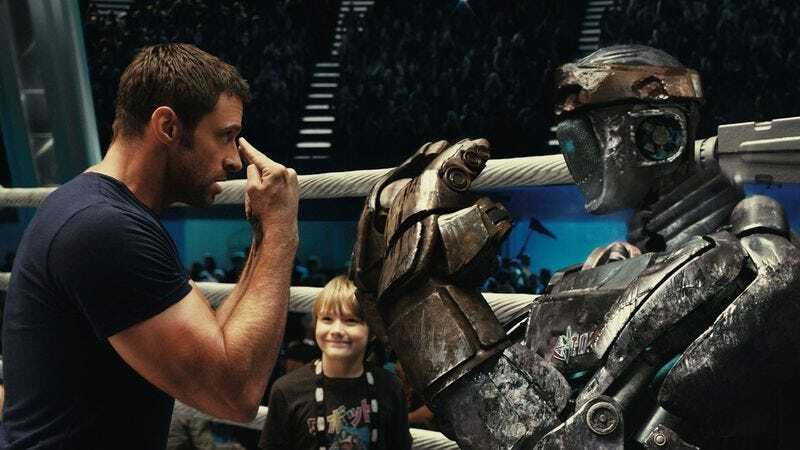 That’s all the details so far, though one presumes the star of Real Steel could once again be called upon to punch some robots. Anywhere a robot needs whipping into shape, Hugh Jackman is there.